Ready to explore a bit of old Rio? Head to the hillside neighborhood of Santa Teresa – its winding cobblestone streets and unique 19th Century Victorian mansions perfectly preserved for an adventure through the city’s history. Crossing over from the patina of centuries-old Santa Teresa to the music and nightlife district of nearby Lapa has become a popular pastime for tourists visiting old Rio de Janeiro: its due in part to the now world famous outdoor staircase called Escadaria Selarón. The 250 steps are adorned with more than 2,000 brightly-colored tiles imported by a local artist from 60 countries. You may have seen the staircase featured in numerous TV commercials, music videos and travel documentaries. The ‘Steps of Selarón’ were also featured in Rio’s powerfully emotional video entry for the 2016 Summer Olympic Games. Santa Teresa – which was built around the Santa Teresa Convent in the 1750s – was once home to some of Rio’s wealthy landowners and artists. Look for high-walled homes and lush gardens on Desterro Hill. The green hillside offered privacy for Rio’s elite and is still a favorite for the city’s artists and bohemian set. 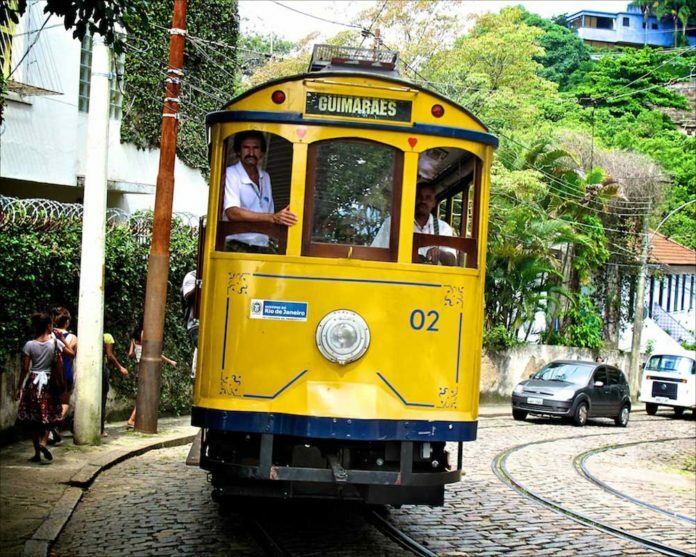 Trolley cars, which originally began serving Cariocas in 1896, make accessing and touring through the area easy, whisking visitors and their cameras along through the narrow streets to view its architectural wonders. Who knows? You might even come across the old castle there. The Trolleys also transformed the Carioca Aqueduct that used to bring water to downtown Rio. The historic Trolley line is the only one remaining in Rio and it starts near the Largo da Carioca square, crossing the old aqueduct to pass through the picturesque streets of Santa Teresa and its magnificent views of the city below. But be sure to check the schedule: Service has been intermittent these past few years. Legend has it that black slaves from Rio used trails through Santa Teresa to escape their owners in the 18th Century. Later in the 1800s, an outbreak of yellow fever led many Rio residents literally fleeing to the hills to avoid catching the deadly disease. Some found Santa Teresa to their liking and made permanent roots in the neighborhood. The addition of the trolley car made the area more accessible and brought more artists, writers, musicians, bankers, and businessmen, who built their opulent homes – often at precarious angles along the hillside.